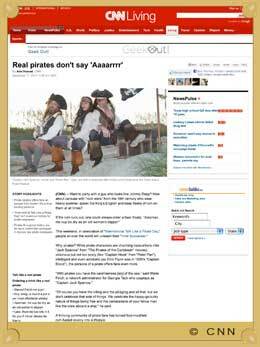 With worldwide interest in PiratePalooza™ at an all-time high we've decided to launch a news channel bringing you our side of the story - something the sail-by media is either too weak or too effeminate1 to accomplish. PPTV is a news network dedicated to you, the hard-working, back-stabbing swabbies and wenches what have dedicated your lives to making the high seas a much livelier and tooth-free environment. We hope that you will throw your support behind our movement to stand up for the rights of those who are too drunk and flea-bitten to do it themselves! We are pleased to reveal the official sponsors of this year's PiratePalooza™ T-shirts, without whom you scurvy lot would still be wearing the rags you came in with!! The Captain strongly urges you to consider learning more about each of them as there will be a quiz later, and you very well may find yourself in need of one or all of these fine establishments at some point in your career as a pirate! 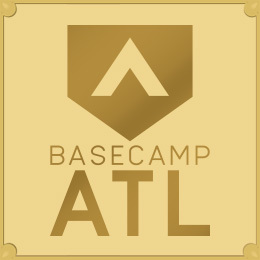 With more than forty years of combined experience in the film and entertainment business, Base Camp ATL has the know-how under their belts to help your production succeed at our location. Some of their past projects include special effects (pyrotechnics, water, etc. ), construction (large scale building, miniature building, set fabrication, specialty props), and lighting. The Base Camp ATL team has worked on feature films, television movies, commercials, trade shows, and corporate events, and are partners with industry leading vendors. And they LOVE pirates! 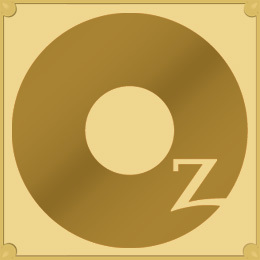 Oz Publishing is a swashbuckling gang what produces a range of award-winning print and online periodicals and directories for and about the visual communication industry including Oz Magazine, the annual Creative Index, and more than half a dozen film and video directories for states throughout the southeast. Oz is a comprehensive resource for identifying and hiring the individuals and companies whose creativity and work stand out consistently, which leaves out a lot of you good for nothing rum-guzzlers! DeProMark FX (DPMFX) is a fully licensed and insured Special Effects company whose crew have more than 30 years in the business. 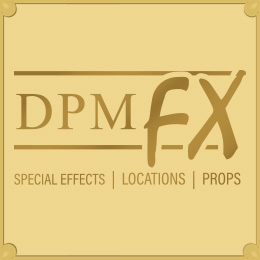 DPMFX offers a unique turnkey opportunity for the TV, movie and commercial industry, with 70,000 square feet of production space available, 3 configurable airplane interiors on stage, and an extensively stocked set dec and prop rental facility onsite. The photo galleries listed below are not the property of PiratePalooza™ or Captain Drew; usage rights for all images should be negotiated with each photographer and prints may often be purchased if so desired. Links open in a new window or tab. Please enjoy them! The following are "Rock Star" photographers with whom Captain Drew has worked. 2007 Booty Music Full album and liner notes. Performances are property of the singers listed; commercial use of any of these songs requires approval of the appropriate artists, rights holders, studios and any other bodies with ownership rights. Provided as is, with no warranty or guarantee. We're pirates, not a music studio. The sites listed below are not controlled or endorsed by PiratePalooza™ or Captain Drew; contact and encounter them at your own peril (and fun)!!! Scheduled on the weekend nearest to Talk Like A Pirate Day, the PiratePalooza™ Pubcrawl is the ultimate inland meeting of pirates, buccaneers, rascals, rogues, scoundrels, ruffians and scalawags this side of the bounding main. It’s an invasion, a sack, a pub crawl and a great way to meet other enthusiasts of the piratical arts ending in a fantastic pub sing starring some of the most popular renfest bands of our time! Join Captain Drew and his crew as they wend their way through the ale houses of downtown Decatarrr on their way to the big Palooza at the end of the night. 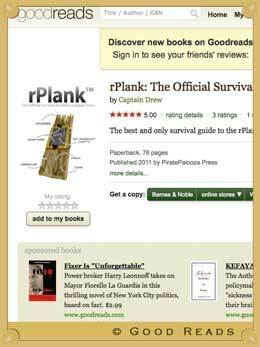 I would like to interview Captain Drew for my... [magazine, website, blog, annual report to shareholders, etc]. What do I need to do? 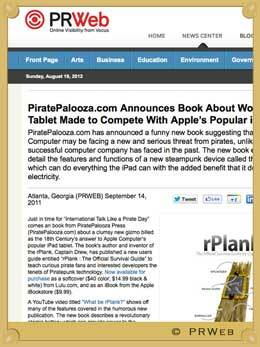 Thank you for your interest in Captain Drew and his annual event called PiratePalooza™! Captain Drew is entirely unreliable and unfamiliar with the human concept of schedules and is also quite busy pillaging nearby planets. Go ahead and send us the details of what your interview is regarding, the more specific you can be the better, including whether this is a telephone interview, an in-studio interview, an interview for print, radio, etc. Please provide a contact person and at least one telephone number. Thanks!! Does Captain Drew do speaking engagements? Yes, the Captain may be available for your event! His normal speaking fee is $800 for a 20-minute presentation. Longer, more extensive encounters are negotiable, unless you are a Jennifer Aniston, in which case his fees may be reversed. May I use footage of PiratePalooza™ in my creative project? The PiratePalooza™ pubcrawl is open to the general public and all footage should be considered 'fair use'. Some of the songs performed by the bands may be licensed works and you may not have the rights to post them online. Please consult your family attorney on this matter. We would appreciate a credit in your project or some suitably appropriate swag if you do include us in your project, even if it's just a science project. 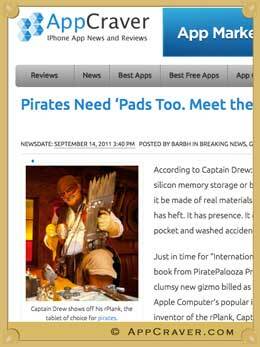 Can I use the PiratePalooza™ logo in my project, film, magazine, television show etc.? Please don't. 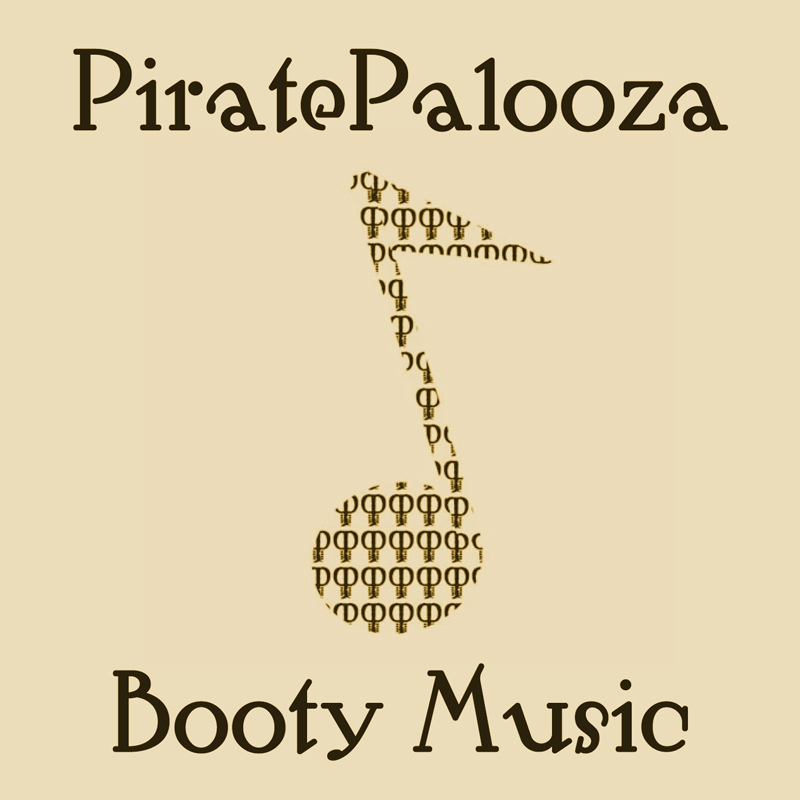 The "double-humped P" aka "alien skull" logo is the intellectual property of Captain Drew and cannot be used without prior consent from PiratePalooza.com and/or Captain Drew. It's a family crest. Do you have high resolution images we can use for our print piece? PiratePalooza™ does not have an official photographer, but many of our attendees are photography enthusiasts and have posted photo galleries online from which you may wish to shop. Please look for links to these photo galleries elsewhere in this section. Have fun! Don't be shy to ask the pirates to pose for you (within reason, they're here to have fun too - not just be models). We would strongly encourage photographers who shoot at PiratePalooza™ to tag your photos with your emblem/logo before posting them online because many people will copy the low-resolution version of your images and upload them to their favorite social media sites with no thought of your copyright in mind. We would further request free (credited) use of your photographs for this website, in return for which we will add a link to your PiratePalooza™ gallery to our list of photographers!